First of all, thank you for your help. All your posts on this amazing forum really helped me prepare for the GMAT. I took my GMAT Exam on 15th February 2019 and was thrilled with the result (760, Q49, V45), although I expected a higher result in Quant. Out of curiosity, I bought the ESR report. After looking at it, I felt I could improve my result on both Quant and Verbal. The lower score on problem-solving quant problems really surprised me as in all my practice tests, I had trouble with Data Sufficiency and nailed problem-solving question. As for verbal, I think I can work more on SC and hopefully increase my score. I am perfectly aware that my result is great but I am planning on applying to HBS's 2+2 program and given how competitive it is, I want to make sure my application is as good as it can be. I would ideally want to get a Q51 and if possible increase my Verbal a bit. 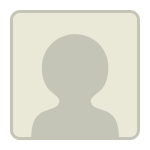 I look forward to your comments on my ESR and how I can improve next time! If there are any specific resources you feel I would benefit from, please share! That's a great score! Also, it is perfectly normal to try for an even better score, so no problems there (if you have the time for a second attempt, go for it). You need to work on your quant. Unless you were regularly getting 50 or 51 on your practice tests, a Q49 (74%) tells us that there are still some weaknesses in your quant. These could be conceptual, or just mechanical (to do with things like silly mistakes, calculations, and concentration). It's unlikely that there is a shortcut to minimising these though. You'll have to analyze your practice tests and figure out what your weaknesses are, and then you'll have to work on them. As for verbal, I wouldn't advise you to limit your efforts to SC. SC is where you lost points this time around, but the margin for error at the score you are at (99%) is so small that you probably should continue working on all your skills, so that you are able to maintain that level of performance on a different set of questions. Make sure that you get the additional practice tests if you haven't already got them. A 760 is awesome! Nice job, my friend. Regarding how to improve your score, to be honest, the thing that stands out the most from your ESR is that you scored in only the 60th percentile for quant problem-solving questions. Thus, (although this sounds crazy to say since you scored 760) you likely still have some quant weaknesses that were exposed on your GMAT. To improve your quant score, go through GMAT quant carefully to find your exact weaknesses, fill gaps in your knowledge, and strengthen your skills. The overall process will be to learn all about how to answer question types with which you currently aren't very comfortable and do dozens of practice questions category by category, basically driving up your score point by point. In order to follow the path described above, you may need some new quant materials, so take a look at the GMAT Club reviews for the best quant courses. Congratulations on the amazing score! If you are planning to retake the test, it would be good to focus on both Quant and Verbal. Even though the maximum improvement will come from Quant, keep practicing Verbal as well so that you can get a higher overall score even without a Q51. A Q51 is rare. In verbal, you can try to improve SC further to score higher. To do so you need to first precisely identify the gaps which would mostly be in application of the process. In Quant, a score of Q49 shows there are still few concepts which you are not fully comfortable with. 1. Take Verbal Ability Quiz or Quant Ability Quiz in Scholaranium. You can also analyse already solved mock tests or practice questions. Learn how to analyse GMAT mock tests to course correct effectively. The more thoroughly you the review more effective will be the course correction. Overall you do not seem to have faced time crunch in the exam but, the time that you have spent on Arithmetic section is lower than the other areas. So, you may consider checking the time that you normally spend on solving Arithmetic questions. If you spend less than the time that you take to solve this type of questions correctly, it may result in a low score which is not a reflection of your true ability. You can learn more about how to manage your time well for scoring high. 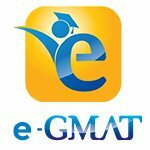 If you want to discuss about your preparation further, you can reach out to us at support@e-gmat.com or PM me, referencing this post.